New membership forms were passed out and collected, to ensure that everyone had the ability to vote. 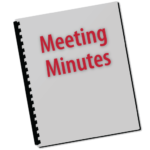 Approval of Minutes- David Holmer moved to approve the January minutes, Ben Schultz seconded. Motion passed 8-0. Vice Chair Ben Boren discussed how happy he was to see new members and delegates, and the importance of the upcoming convention. Northern Michigan will have more representation than ever, and Ben is running for Vice-Chair of the state party which will give us even more say. Political Director David Holmer announced that he has 10 candidates running in 2020. He discussed the need to decide whether we will approve our candidates by convention or caucus. Ben Schulz made a motion that we approve candidates via caucus, which gives us more flexibility. Ben Boren seconded the motion. Motion carried 8-0. Outreach and Membership Director Ben Schulz combined his report with David’s since the two of them are speaking to the Manistee Tea Party Thursday March 21st at the Bungalow Inn. An informal discussion about their speeches will follow the business meeting. 4. Old Business- Since Joseph Hartman moved, we have had an opening for a Treasurer. Even though we currently do not have dues, we hope to develop funds in the future and we need another member of the Executive Committee. Kristen Olson volunteered to take over the position. Ben Schultz moved to approve Kristen Olson as Treasurer, and Jim Krantz seconded the motion. Motion carried 8-0. Welcome Kristen!! 5. New Business Ben Boren moved to put the minutes on our website. David Holmer seconded the motion. Motion carried, 8-0. The next meeting will be online and will focus on the upcoming convention as well as a discussion of a long-term meeting plan. The meeting will be Tuesday, April 9 at 6:30. As always, the link will be published online and on the Facebook page. Membership A. Anyone residing in the service area, or in any adjacent county shall be eligible for NWMLP membership. The service area encompasses Charlevoix, Antrim, Leelanau, Grand Traverse, Kalkaska, Benzie, Manistee, Wexford, and Missaukee Counties. Executive Committee A quorum of the Executive Committee shall consist of 60% of its members. A majority of those members present shall rule, except as otherwise provided in these Bylaws. Call Meeting to Order- Chairperson Gundle-Krieg called the meeting to order at 6:45PM. Present- Chairperson: Donna Gundle-Krieg, Vice-Chair: Ben Boren, Officers: Ben Schultz, David Holmer, Peter Biskupski and Joseph Hartman.